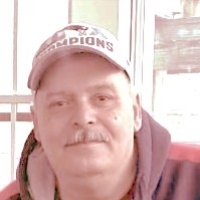 Steven Moreira, 59, of Wilson, NC, formerly of Bristol, passed away Saturday. Born in Providence and raised in Bristol, he was the son of the late Raymond Moreira, Jr. and Esther (Mathias) Moreira. Steven is survived by his daughter, Jessica Moreira of East Taunton, Massachusetts and fiancée, Jess Smith; sons, Kurt Decker and wife, Helana of Tiverton, Rhode Island, Joshua Moreira of Wilson and Patrick Skinner of Kenly; granddaughter, Harper Lynn Decker of Tiverton, Rhode Island; sisters, Pamela Andreozzi and husband, Steve of Fulton, Texas, Roxane Anania and husband, Angelo of York, Pennsylvania and Michelle Keech and husband, Michael of Bristol, Rhode Island and his brothers, Charles Francis of Warren, Rhode Island, Raymond Moreira of Florida and Ronald Moreira and wife, Jennifer of Wilson. Funeral Services from the Sansone Funeral Home, 192 Wood Street, Bristol, Monday, January 28, 2019 at 10:00 AM with a Mass of Christian Burial at 11:00 AM in St. Elizabeth’s Church, 577 Wood Street, Bristol. Burial will follow in St. Mary's Cemetery, Chestnut Street, Bristol. Visitation will be Monday morning only from 9:00-10:00 AM. In lieu of flowers, please consider memorials in Steven’s memory to the end of life expenses, Joyner’s Funeral Home, PO Box 425, Wilson, North Carolina 27894.